Engaging with the community is increasingly high on the agenda of many businesses of whatever size for lots of reasons. Giving employees the time to volunteer for local causes is one way for businesses to support the community. Volunteering isn’t just about ‘giving something back’. It is widely accepted that volunteering develops personal and professional skills that are brought back to the workplace. Supporting employee volunteering can help employers achieve their business objectives and fulfil their corporate social responsibilities. 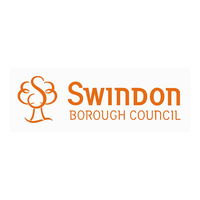 Involve Swindon is a network of companies, statutory bodies and voluntary organisations working together to encourage employees to give their time and develop their skills through volunteering in the local community. Any company in the Swindon area is welcome to join Involve Swindon. We offer different levels of membership for businesses depending on their needs and interests. Please contact us to discuss and for further information about how you can get involved with us.